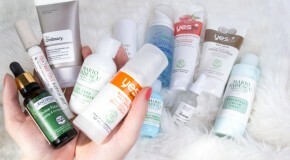 Okay so you’ve got your skincare routine down, but have you ever stopped to think that when you apply these products is every bit as important as the ingredients themselves? Knowing which products to apply for your skin type is only half the battle because knowing when to apply them is also vital to skincare success. 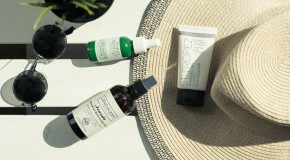 Skin has a natural 24-hour cycle (influenced by hormones, environmental aggressors, cell renewal, and the production of melatonin); during the day it needs protection and hydration, and by night it needs support for its natural regeneration process – maintenance of which is vital to protecting against premature ageing and cellular damage. To support this process and boost its benefits, it’s important to use the right skincare at the right time. Even applying the right products at the wrong times of day can potentially lead to poor absorption, lack of efficacy, congestion, and irritation. 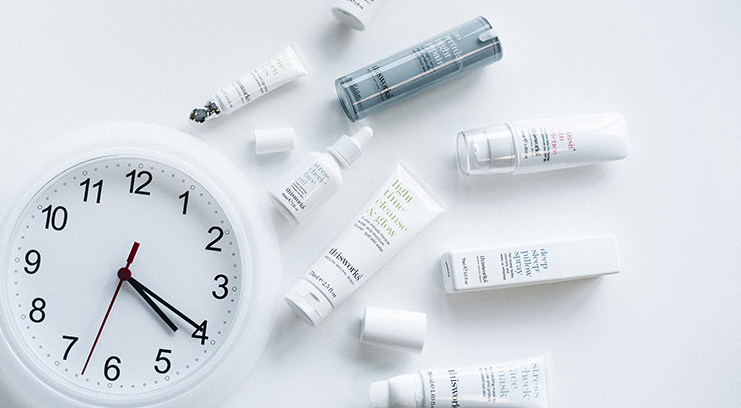 Thanks to science-savvy brands like This Works, it’s possible to maintain a 24-hour approach to good skincare. Read on for skincare recommendations that boost your skin’s health, performance, and appearance, right around the clock. Skin is at its most dehydrated and sensitive when we wake up. 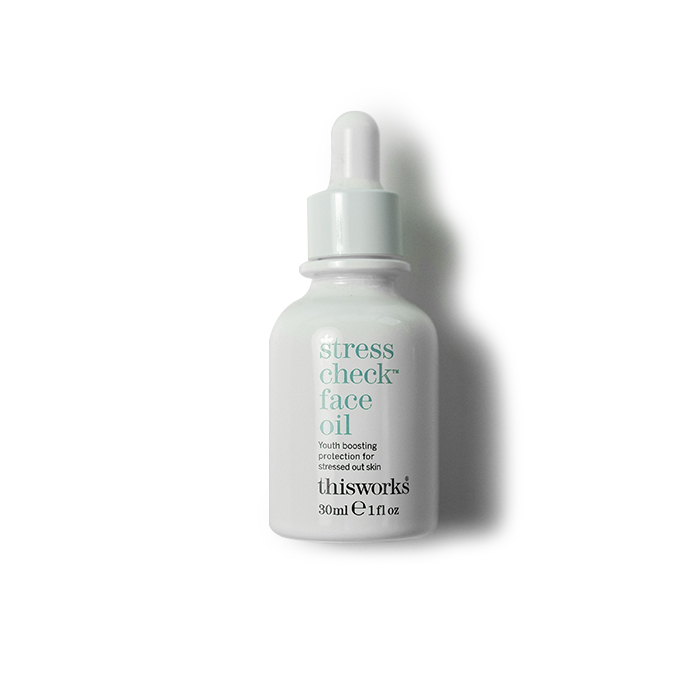 To restore moisture levels and calm irritation, This Works Stress Check Face Oil utilises topical antioxidants which harmosie and balance out-of-sync skin. What’s more, the concentrated blend of botanical oils has a calming fragrance that acts like aromatherapy – helping to soothe the mind and relieve stress as you massage it in. 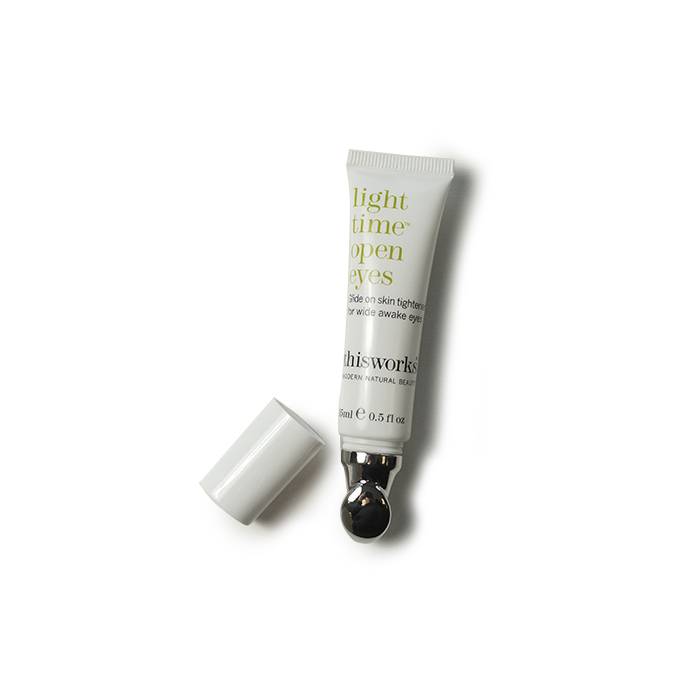 If the early morning gives you bleary eyes, kickstart them awake with This Works Light Time Eye Treatment, which works to tighten and brighten tired eyes using a cocktail of vitamins and natural skin soothers. It can be tempting to simply apply moisturiser as eye cream, but the skin around your eyes is thin and delicate – both to wrinkles, assault from environmental aggressors, and heavy products – so it’s important to protect it with a specifically designed eye treatment. This light lotion glides on smoothly hydrating and cooling tired eyes with soothing aloe vera and argan oil. During the day, skin is most likely to be exposed to direct UV rays as well as bacteria, viruses, and environmental pollutants, so at this time, its primary function is protection. 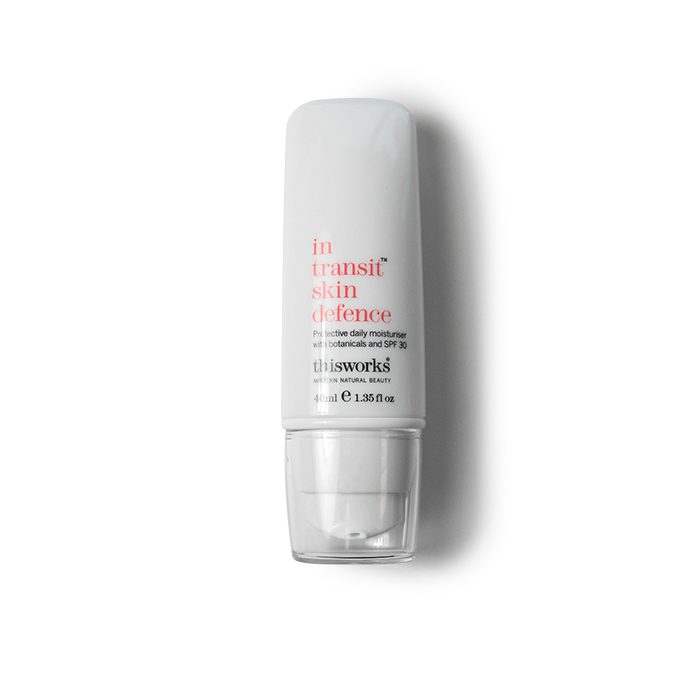 Support and maximise skin’s defences with This Works In Transit Skin Defence, a light cream rich in antioxidants that not only protect skin but also help to reduce redness, swelling and itching, whilst evening out skin tone and blurring imperfections. Everyone should be in the habit of washing their faces morning and night, but to get everything off your skin, it’s particularly important to double cleanse in order to ensure a perfectly clean base before applying your night-time lotions and potions. 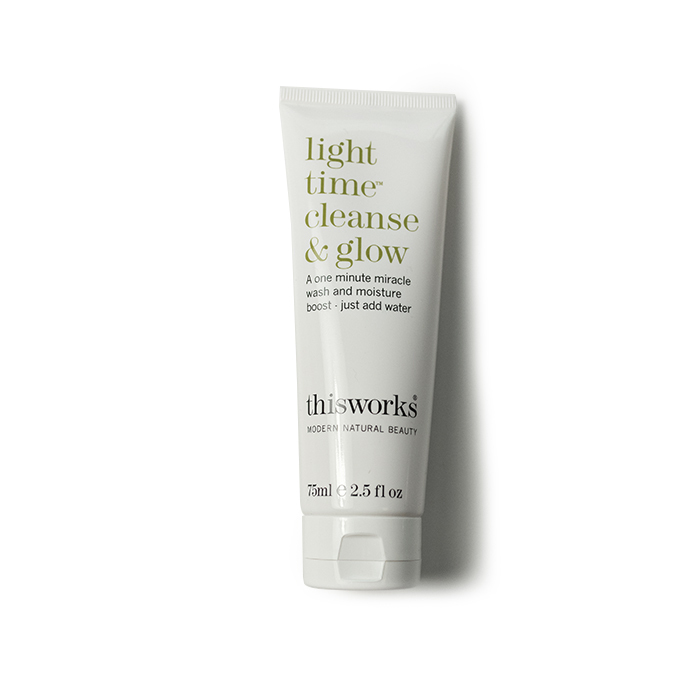 This Works Light Time Cleanse and Glow works double-duty to not only remove makeup, SPF, dirt, excess oil, and bacteria, but also refresh and rejuvenate your complexion using brightening active ingredients. 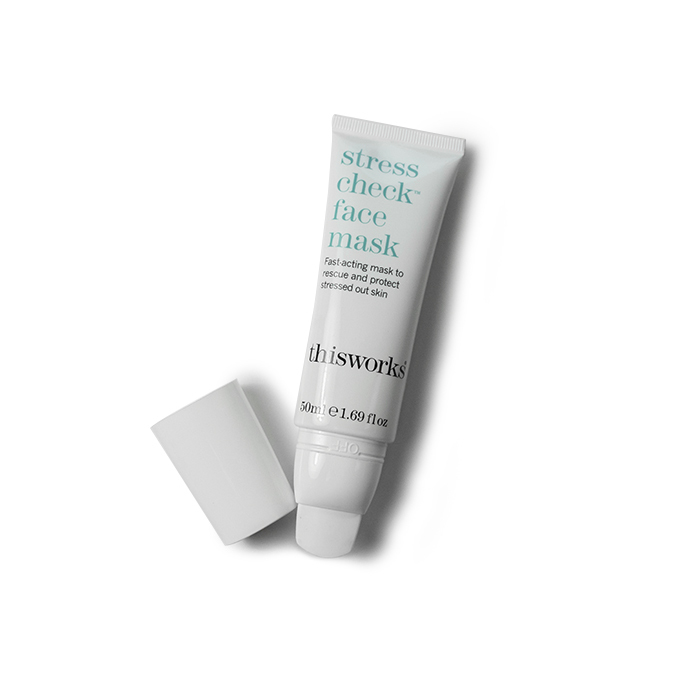 Most face masks focus on cleansing and detoxing the skin, but This Works Stress Check Face Mask is the perfect end-of-day treat, formulated specifically to soothe and balance a stressed complexion and strengthen the skin’s protective barrier by boosting hydration levels. Immediately cooling and calming upon application, the mask is made up of a botanical oil blend, gentle enough to be used to soothe a sensitive complexion on a daily basis. At night-time our body produces the sleep hormone melatonin, which not only ensures that you sleep well and healthily, but has an antioxidative effect that combats skin damage and benefits the skin’s ageing process.. As we sleep, skin starts to regenerate, producing healthy new cells that replace the old ones and reduce the appearance of ageing and damage, what’s more, blood flow increases and skin temperature rises, which aids and boosts the penetration of any products. 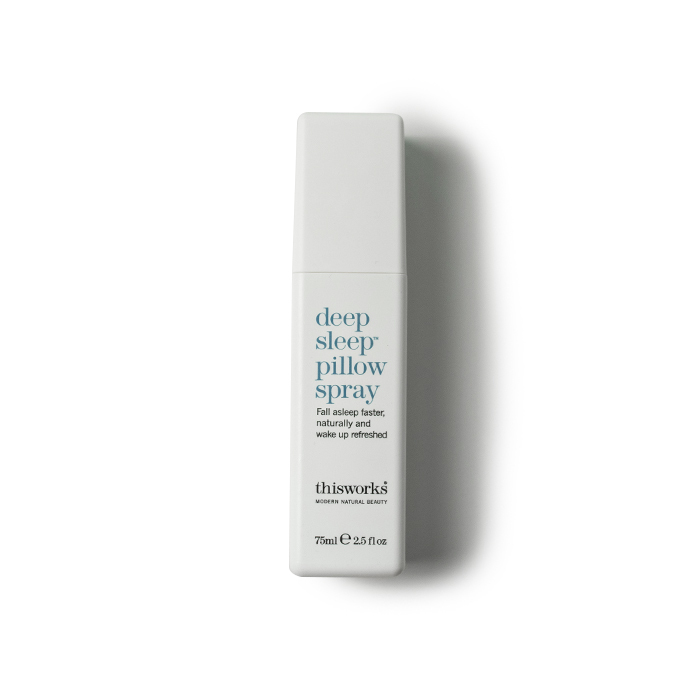 If you find yourself tossing and turning and counting sheep, This Works Deep Sleep Pillow Spray (a blend of aroma-therapeutic ingredients including lavender, vetivert, and chamomile) is clinically proven to help you fall asleep faster and promote better sleep, meaning your skin is in an optimal state to heal and regenerate. 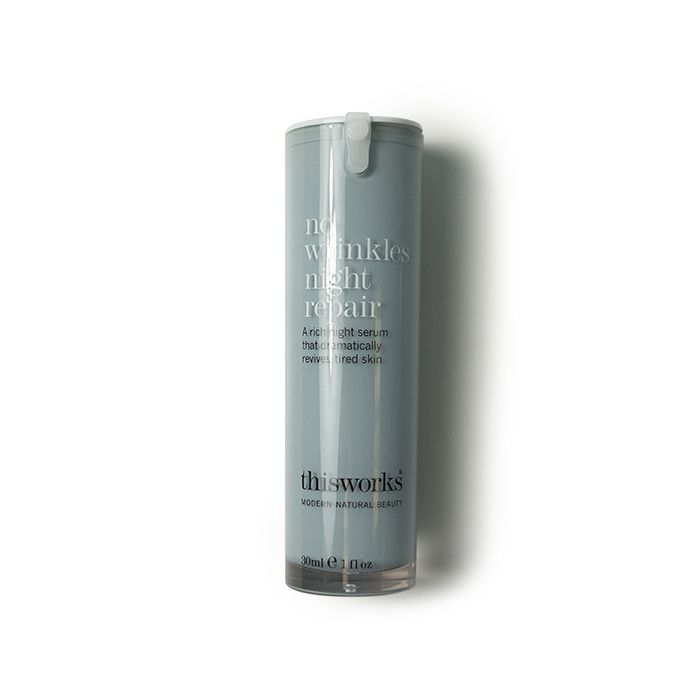 It’s important to take advantage of this process, so give skin a helping hand with a potent serum like This Works No Wrinkles Night Repair Serum. Specoifically designed to capitalise on skin’s overnight renewal process, it uses active ingredients and peptides to boost collagen production, hydrate skin, neutralise free radicals, and relax the muscles (preventing wrinkles from forming whilst you sleep). The high concentration of active ingredients increases product performance, prevents overnight moisture loss, and maximises the skin’s natural process of repair and regeneration.